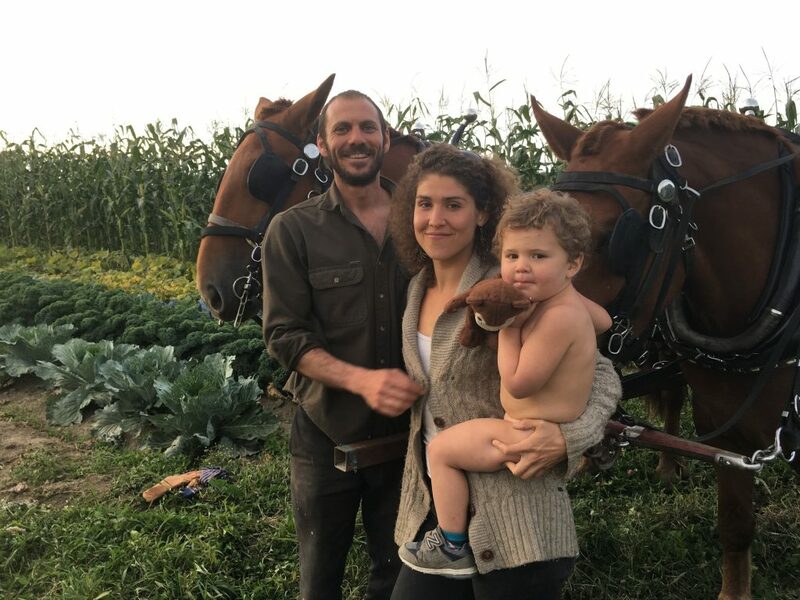 Sawyer Farm is a small, diverse, family farm. 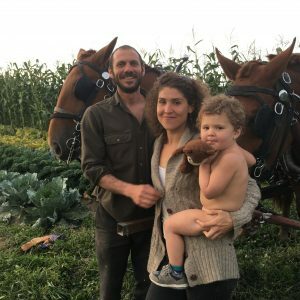 We are 100% horse-powered and way beyond organic. We never use chemicals or sprays, and we always use lots of our own, homemade compost, and cover crops. 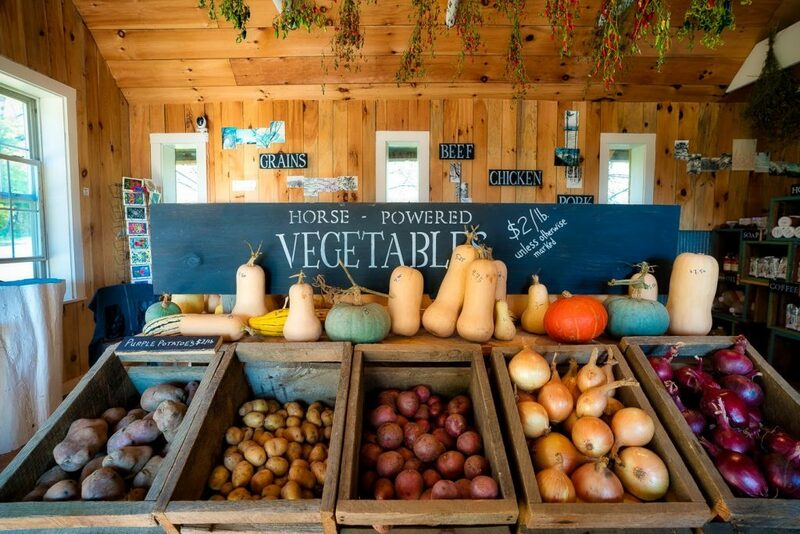 Our farmstore is open every day of the year, from 9-7. 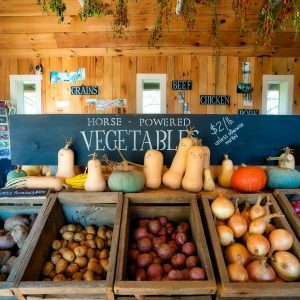 Our horse-powered vegetables are available year-round, and we’re always stocked with our (organic-fed) eggs, chicken, pork and beef. We sell our own cornmeal, dry beans, and whole corn for tortillas, and have many other products from local farms, producers, and artisans. Contact us for pricing on bulk meat orders, and wholesale storage vegetables (including our specialty carrots). Email us to join our mailing list. We send out notifications for our 5 or so horse demos each season. 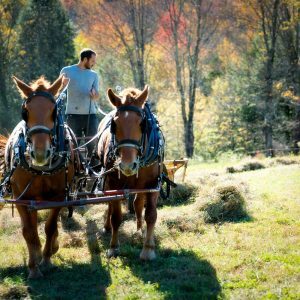 Meet the horses and watch them at work! 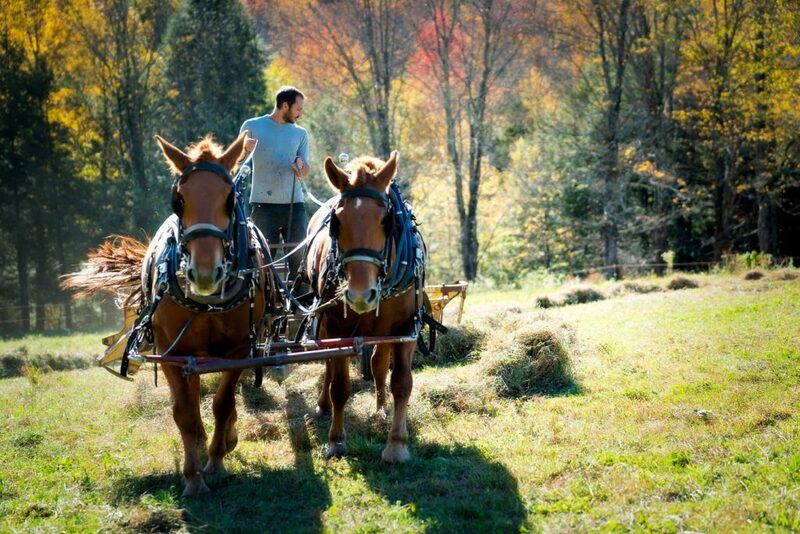 Learn about our farm practices and how and why we use horses.